Each step of the patent process has its own set of challenges that could cause you to waste time and money. Many inventors and entrepreneur that have come before you have experienced these problems. I will highlight a few of the problematic ones to help you successfully navigate the patent process. When appropriate, I will provide potential solutions to mitigate these problems to help make the process more efficient. Before we begin, there are two things that I want you to know about the patent process. The overall patent process is lengthy. You won’t get a patent in a month. You could get one in as little as 6 months if everything works out well and a fee is paid to expedite examination of your patent application. On the other hand, it could take up to 5 years before you get a patent if you encounter issues along the way. You could also never be awarded a patent. Additionally, the overall patent process is costly. There are miscellaneous costs other than the cost to prepare the patent application. Read more about them in my post about strategies to minimize patent costs if you want to get more value out of your patent legal fees. Plus, I wouldn’t want you to be under any misconceptions about the patent process. Read more about the highs and lows of the patent process so that you can enter the patent process with a more realistic expectation. 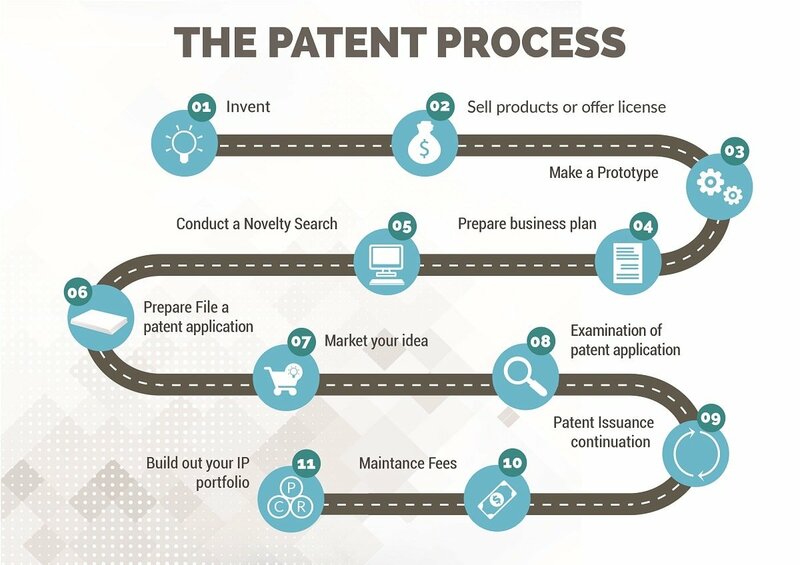 The steps below cover the entire patent process from the step of inventing to building a patent portfolio. What types of inventions are eligible for patent protection? How unique does an invention have to be to get a patent? STEP 2; HOW WILL YOU MONETIZE YOUR INVENTION – BUILD AND LAUNCH YOUR PRODUCT, LICENSE THE PATENT RIGHTS, OR BOTH? 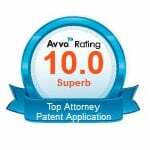 What value does a patent attorney add to the patent search process? 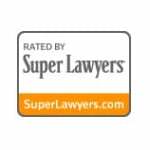 How to select your attorney? How to expedite examination of your patent application? The inventing step is the first step in the entire patent process. If you don’t have an invention, then you don’t have anything to license or a product to sell. “Anything under the sun made by man” is eligible for patent protection. This includes aesthetic designs (design patents), functional features or products (utility patents) and asexually reproducing plants (plant patents). Currently, software programs in general are being rejected at a very high rate as being abstract ideas. This includes phone apps, desktop software, etc. You can read more at the United States Patent and Trademark Office (USPTO)’s web page on determining Subject Matter Eligibility for your invention. Section 2016 of the Manual of Patent Examining Procedure (MPEP) explains in detail how to determine whether your invention is an abstract idea.Abstract ideas are those ideas which are related to the “end result” instead of “how” one would achieve the end result. For example, the general goal of space travel would be an abstract idea. The specific things needed for space travel, such as a space shuttle having a rocket booster, a navigation system, oxygen tank, flight controls, etc. would not be abstract ideas. These things are the required structural components to achieve the end result of space travel. Good legal counsel will save you money at this point by letting you know the current state of the law with respect to software patents. The allowance rate for software may increase in the future. Contact a patent attorney to find out more information. The law defines how unique an invention must be to get a patent. The invention must be novel (Section 102) and non-obvious (Section 103). Novel simply means that the invention needs to be new. Is there a product that operates the way that your invention works already? If yes, then your invention is not new. An invention may be a combination of preexisting parts. Now, if someone else has already put together those combination of parts anywhere in the world, then your invention is not novel or new, and you cannot get a patent. Unless the invention fits within a clear rule that indicates that the invention is obvious, it is difficult to accurately determine if the USPTO will reject your patent application as being obvious. Early on in my career as a patent attorney, I used to guess as to which inventions would get a patent and which wouldn’t. On more than one occasion, I was surprised to see which ones received a patent and which ones didn’t. I suggest that you don’t try to guess as well. Next, the invention needs to be non-obvious. To be non-obvious in simple terms means that based on what people already know, someone else would not have put together the parts that you put together in the way that you did. Be aware that whether an invention is nonobvious is more of a legal definition. Two sections from the Manual of Patent Examining Procedure (MPEP) provide an in depth discussion on how to determine obviousness. MPEP Section 2141 provides an in-depth obviousness guide on whether your invention is obvious. MPEP Section 2143, on the other hand, provides an in-depth discussion on how to argue that an invention is non-obvious. How to tell others about your idea without losing your invention rights? Put simply, if you don’t own the invention rights, you can’t get a patent on it. How does this apply to you? Discussed below are a few situations where you might want to get a patent or think that you can get a patent but can’t because you aren’t the owner. Ownership of the invention rights should be ascertained to make sure that you own all of the invention rights. All of the inventors of the invention should be identified so that they can assign their invention rights to you or a corporation. The bottom line is that if you don’t own the invention, you cannot get a patent on it. Accordingly, you must secure ownership of the invention before filing the patent application. How invention rights are lost is by collaborating with others without any understanding or agreement beforehand as to who will own the invention that was created while you were collaborating together. For example, friends or coworkers might be brainstorming an idea over dinner. Or, you might share your invention with your friends and family to get feedback from them or to see if they can help you develop your idea. You like their feedback and decide that your basic idea along with theirs would make a great product. Let’s see who owns the invention. Ownership of the invention vest with that person that conceives or thinks of the idea. The base idea of the invention is yours. However, the feedback that you received from others may be interpreted as their contribution to your invention. If the latter, you now have coinventors if you decide to use that person’s contribution. Bluntly put, you don’t own those contributions; they do. Coinventorship is not a good situation because each of the coinventors is not responsible to the other inventor unless they are contractually obligated to protect the other inventor. If you have a coinventor, you need to get the situation resolved. You may believe that your relationship with that person is very strong. However, when money is involved and decisions needs to be made, it has been my experience that it is better to clarify the relationship and the ownership of the invention in writing. Why? You might not want that person as your coinventor. On the other hand, even if you don’t mind having that person as your coinventor, under US patent laws, each of the inventors can exploit their idea without any responsibility to the other coinventors. If you don’t solve the coinventorship issue, you might not want to invest more time and money into the invention and investors might not want to partner with you because of the potential for failure if the relationship between the coinventors deteriorates. To solve the problem, the coinventors can assign the invention to a single entity or to enter into a joint exploitation agreement. The joint exploitation agreement is an agreement where each of the coinventors agree not to exploit the invention without the other and to not dedicate the invention to the public. You should enter into the joint exploitation agreement only if you want to do business with your coinventors. It will also dictate how decisions will be made with respect to the invention if the coinventors want to go in different directions. This agreement is needed so that the coinventors do not damage the value of the invention to spite the other inventor in the case that the relationships sours. You can also assign the invention rights to a corporation (e.g., LLC, company, S-Corp.) so that the corporation owns the invention rights rather than the inventors. Each of the coinventors could own the corporate shares and their duty of loyalty to the corporation would prevent them from damaging the value of the invention. If you don’t want to do business with the coinventor then you can have the invention rights assigned to you. You would just buy them out with cash or a percentage of the future profits in exchange for an assignment of their contribution to you. Whenever any type of collaborative effort on the invention occurs, the individuals that are involved in that collaborative effort should decide beforehand who or what entity will own the invention. Otherwise, it may not be worth collaborating with others. The bottom line is that the ownership of the invention should be controlled by a corporate entity or through an agreement. You can pursue either one or both as you go through the patent process. However, the primary means by which you plan to monetize your invention will dictate the strategy that is right for you to protect your invention. If your primary strategy to monetize your invention is through a license, then in my opinion, it is important to secure an issued patent as fast as possible. Expedite the patent process for your invention. This means that you will forgo filing a provisional application and go straight to filing a nonprovisional application. Additionally, because of the long wait time to have your patent application examined by the patent office, it may also be necessary to request expedited examination at a higher cost. Expediting the patent process at the Patent Office is more costly but seems to be necessary. It has been my experience that potential licensees are more willing to pay a royalty on a granted patent so that they know the scope of the patent rights that they are paying for. Unless you have significant past experience with licensing, I’m not a fan of the licensing model. I know that it sounds attractive but realistically, it is not the most likely route to make money at least in the beginning. On the other hand, if your primary strategy to monetize the invention is to sell product, then it may be smarter to minimize upfront patent legal fees and delay as much of the patent legal fees until after your sales pick up and you know that the people want to buy your product. Slow walk the patent process. This means that you may want to consider filing a provisional application, not a nonprovisional application since filing the provisional patent application would delay your application from entering the line for examination at the Patent Office for up to one year during the one-year pendency of the provisional application. Filing a nonprovisional patent application would cause your patent application to enter the queue for examination when you file it. You can try to monetize your invention using both routes (i.e., selling product and licensing). However, you need to decide which one is more important to you, because that favored approach will dictate the decisions and patenting strategies that you should employ during the patent process. In general, I’ve found that those that want to monetize the invention using both routes should use the latter strategy, delaying upfront patent legal fees. When inventors invent, their main goal is to make money. Other valid goals exist such as resume building or building a patent portfolio to increase the value of their company. However, the primary reason that most people get a patent is to monetize their invention by licensing or selling product. Many inventors believe that they can make easy money by licensing their invention rights to others. They hear of stories about an inventor that got rich by licensing their invention. However, I want to let you know that getting rich through licensing is not a statistically probable event, unless you get to a point where you are offering and selling product to others profitably. This would tend to prove the marketability of your invention. Even with that, you are not guaranteed to secure a licensee who would be willing to pay you a royalty. At least, this has been my experience. 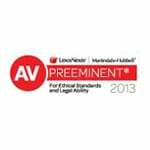 The probability of securing a licensee increases the more evidence you have that shows profitability. For example, if you only have an idea without a patent application, then the probability of securing a license is extremely low. If you file a patent application, then the probability will increase but often times potential licensees or businesses will ask that you secure the patent first before they are willing to take a license and pay you a royalty. In this way, they will have a better understanding of the scope of protection afforded under your patent. If you have a granted patent, then the probability increases a little bit more. That is, if your patent claims are broad enough. If you have sales, but are not profitable, then the probability of securing the licensee is lower than a business that is profitable. The basic premise is that the further along you are in developing your business, the more likely you are to secure a licensee. The mere issuance of the patent may be an important factor to secure a licensee on your invention, however, the mere acquisition of a granted patent does not turn the licensing route into a high probability event. A patent merely shows that the Patent Office thought that the invention was novel and nonobvious in light of the prior art, whereas a profitable business shows that people are and willing to purchase your invention. To make money on an invention, in my opinion, you should be willing to build and launch your own business. Otherwise, you are relying upon your ability to secure a licensee that will pay you a royalty. If that doesn’t pan out for you, the legal cost for patenting your idea would be a sunk cost. The entire patent process may be a waste of money and time. Prototyping your invention is a good idea but not required by the patenting process, but it is a good idea both for the purposes of preparing a patent application and showing proof of concept. Unless the invention is very simple and guaranteed to work, I recommend that inventors go through the prototyping process. The prototyping process may be frustrating because it will delay the date when you are patent pending and can start to market your invention. Bottom line: it appears to delay the patent process. However, for those inventors that have followed through on my advice to prototype the invention prior to filing the patent application, they have found it very helpful because it helped them to identify problems that they did not think about and find solutions to those problems. Moreover, those solutions became a part of the patent application. In this regard, prototyping didn’t really delay the patent process, rather, it focused their efforts and produced a better patent application. For those that watch their budgets, prototyping is just a good idea. In this stage of the patent process, you need to also require that your outside vendors transfer ownership of any improvements to your invention to you through a business contract (independent contractor’s agreement). Some inventors should prepare a business plan to decide if they want to enter the patent process. I consider the business plan a part of the patent process because much of the decision making process in the patent process is based on the vision of the company you are trying to build. The business plan is an internal document that shows inventors how they will make money on the invention. It also helps you when you pitch the idea to others. The business plan may include information on how you will market, manufacture and sell the idea, or it may have a list of potential licensees that you want to pitch the idea to. For example, the business plan may include a task of building a website or creating a PowerPoint presentation. The basic idea is that the business plan allows you to visualize a plan to monetize your invention. The business plan is difficult to prepare because there is a lot of guesswork involved in how much things will cost and how much money you will make. It introduces the inventor to the uncertainty of starting a business. However, the business plan can act as an initial litmus test whether the inventor has the grit and determination to work through the problems of starting a business or monetizing an invention. To properly test the marketability of your invention, you need to be able to offer your invention to others, perhaps by setting up a website or demonstrating your invention to others. However, these activities could prevent you to getting your patent. These activities are also known as bars to patentability, namely, offer for sale, printed publication and public use. Offer for sale refers to offers to sell the inventive product to others. Printed publication refers to a publicly available webpage or brochure describing the inventive product. Public use refers to a public demonstration. Technically, US patent laws allow you to engage in these activities for up to one year before you must file your patent application. However, because the United States is now a first-inventor-to-file regime, engaging in your marketing activities without filing a patent application during that one-year period is risky because others might file their own application on an improvement to your invention before you do and be the first to file. They would be awarded the patent and you would not. Accordingly, you need to figure out how to determine marketability without triggering any of the bars to patentability, for example, offering the invention for sale, setting up a website or demonstrating your invention to the public. It may be impossible to test marketability without doing these types of activities and if you do figure out a way to get market feedback without triggering the bars the patentability then that information may be imperfect. Nevertheless, that is the goal. One solution to get market feedback is to use a confidentiality agreement. Your marketing test subjects would sign the confidentiality agreement, and you could get valuable feedback on semi-public marketability. For example, you can send out a small survey and anyone who takes the survey would agree to keep the invention confidential. Normally, this works better with family and friends. Be aware that if you go one step further than just a survey and offer a product for sale under a confidentiality agreement, that may still be considered an offer even if they don’t buy. That secret offer may eventually cause you to lose your right to seek a patent on your invention unless you file a corresponding patent application within the one-year grace period allowed under US patent laws. Also be aware, if you are interested in securing foreign patents, that many foreign jurisdictions prohibit any marketing activities prior to the filing of a patent application and receiving patent pending status. The alternative to a confidentiality agreement is to secure patent pending protection through the filing of a corresponding patent application (Step 6 below) so that you can market your invention to the public without the need for a confidentiality agreement. This is a more costly route, but sometimes needed because of the first-inventor-to-file rule and its limitations. A novelty search is an optional step in the patent process. They are sometimes referred to as a patentability search or a patent search. I prefer to use the term novelty search because it is more descriptive of what you can expect. It determines the novelty or newness or uniqueness of the idea, not whether it is eligible for patent protection (Section 101) or non-obvious considering the prior art (Section 103). When you expect too much out of a basic novelty search, you will get disappointed and may also make wrong decisions. Let me explain what you can reasonably expect below. A novelty search is an optional step and you need not conduct a formal patent search as part of the patent process. However, there are advantages if inventors at least conduct their own informal, free patent search. In a few limited circumstances, the cost of a formal, paid novelty search by a patent attorney may outweigh its benefits. Additionally, in limited circumstances it may be advisable to not to pay for the formal novelty search, as discussed below. Before you pay a patent search firm or a patent attorney to conduct a novelty search, you can conduct one for free at www.google.com. Type in a few keywords for your invention and see if anything shows up. I wouldn’t spend too much time on this because doing a deep dive into the pages and pages of Google results won’t give you the best value for your time. Next, you can search on Google Patents. It offers the option of including non-patent literature in your search since that information is also considered prior art to your invention. The USPTO also publishes a guide on how to conduct your patent search called the Seven-Step Patent Search Strategy. These are the steps that I would conduct if I were to personally conduct a novelty search for an inventor. One of the problems with USPTO’s instructions is that they tell you to conduct a search on their database. Their database separates out the databases for published patent applications (i.e., pre-grant publications) and issued patents. The search that you conduct on the database for published patent applications will have to be replicated on the database for issued patents. In lieu of repeating the search, I suggest that you use www.freepatentsonline.com. You can search both databases at the same time. Click the Search dropdown menu and choose Expert Search. Check both US Patent and US Patent Application at the least. Put simply, do some searching yourself for free before you pay a patent attorney to do the search for you. As a patent attorney, I do not conduct my own patent searches, rather, I outsource the initial work of searching for relevant patents to a dedicated patent search firm. Below is a discussion of the value that I add to the search process as a whole and why my fees are higher. These dedicated patent search firms will utilize the same or similar process outlined in the Seven-Step Patent Search Strategy. The cost to run a search for a single invention with a dedicated patent search firm will cost you at least a few hundred dollars. I utilize the services of www.washpat.com. If you hire them, let Shane Davis know that you found out about his service through me. As I said, I do not usually conduct the initial search myself, rather, I outsource the initial low level work to a dedicated patent search firm. However, my prices will be higher than those of www.washpat.com. The value that I add to the entire search process is at least two-fold. First, the dedicated patent search firms do not spend the necessary time to identify the point of novelty of your invention, nor are they qualified to do so. If you misidentify the point of novelty of the invention, the search firm will not be searching for the proper aspect of your invention and might look for something too generic or specific. Identifying the point of novelty properly requires years of training and practice. In many of my initial consultations, inventors have appreciated that I helped them to understand what their point of novelty truly was. My experience and judgement is the value that I add to the novelty search process. Second, after the search firm sends back their initial search results or raw data, I will be able to navigate and determine the novelty of the invention based on my understanding of patent law and the experience that I’ve gained prosecuting hundreds of patent applications before the USPTO. Nevertheless, the bottom line is that you should do your own free informal search first. Spend at least a few minutes before you engage a patent attorney. If you find something then great; you can move on to the next idea. If you don’t find anything, then either reach out to a dedicated patent search firm or retain a patent attorney to conduct a formal search. Having the proper perspective of what the novelty search can and cannot do for you is important so that you understand what you are getting when you conduct or have someone else conduct a novelty search. Otherwise, you might be wasting your money because you are expecting something that you won’t be getting from the search. The scope of available prior art that can be used to reject your patent application is worldwide, and even includes patent applications that may not be published until after your patent application is filed. Thus, the search may miss relevant references that could be found and used by the Patent Office to reject your patent application when you do file one. Accordingly, if you receive a rejection on your patent application after filing by the examiner at the USPTO on a new prior art reference that was not discovered during the novelty search, do not be upset. That is one of the limitations of a novelty search. Also, a novelty search is not a comprehensive search of all possible prior art references. It is only a sampling. That might be another reason that new prior art might be cited by the examiner in rejecting your patent application. Also, the patent search for all intents and purposes is merely the opinion of a patent attorney regarding the probability that the Patent Office will grant the patent or reject the patent application. However, the only opinion that matters is the opinion of the examiner at the United States Patent and Trademark Office. Patent attorneys can only provide you their reasoned judgment based on their experience as to how an examiner might rule on your invention. You should not assume that it is a guarantee. Additionally, each examiner is different and because obviousness has a subjective component, there is some variability in what each examiner would allow for patenting purposes. Don’t be discouraged even if you do receive an initial rejection on your patent application, that is not the end of the road. You can still argue and present new evidence so that the examiner can make a new decision as to patentability. In many instances, you would be wasting your money if you abandoned your patent application because of the initial office action. When you have a patent application prepared for filing with the USPTO, you are getting reading to get patent pending on your invention. When you file the patent application, you have formally entered the patent process within the USPTO. The patent application consists of governmental forms, a specification that teaches others how to make and use your invention and the governmental filing fee. The patent forms and the USPTO patent fees can be found at the United States patent and trademark office website. These are the documents you will need to apply for a patent. One of the most common questions that I get asked is whether preparing and filing the patent application is easy enough to do without having to retain a patent attorney? Unfortunately, the work to prepare the specification (i.e., written description and drawings) of the invention is difficult. Oftentimes, inventors write their patent applications in a limiting way, and thus limit the protection they might receive from their patent. Anyone can prepare some sort of patent application; however, the issue is if the resulting patent can be enforced and if infringers will respect it. Out of all the inventor-prepared patent applications that I’ve reviewed over the years, I can remember only a handful of times when I thought that the written explanation and the drawings were even somewhat good. US patent laws allow you to prepare and file your own patent application but I generally do not recommend it. Is a patent application prepared by a patent attorney a guarantee that it won’t be invalid or be narrow? Absolutely not. However, based on the experience and judgement of the patent attorney, it will result in a significantly better work product than what the inventor could do by themselves. The approximate costs for preparing a patent application falls within a range. Often, patent attorneys like to compare cost with complexity of the invention. Complexity of the invention is a good rough guideline to determine approximate cost. However, in my experience, complexity of the invention is only one factor among many in determining cost. Another significant factor in determining cost is the breadth of protection that the inventor wants to secure and the goal of the patent application. For example, some inventors want to explain every nuance of the invention in the patent application. That is doable. Some large companies want to secure patent protection for as many features of the product as possible. However, that is also very expensive but not realistic for startups. Most inventions or products regardless of complexity can be boiled down to a single point of novelty with ancillary features. By focusing the patent application on the point of novelty, you can minimize cost yet maximize breadth of the patent application. With respect to costs, the important thing to remember or consider is that cost must always be balanced with value. Two different attorneys may charge the same amount of money for the preparation and filing of the patent application, but the quality of work for the two attorneys may differ. To put it a different way, quality is not a direct function of cost. There may be a loose correlation but it is not true that cost determines quality. To select a patent attorney, I suggest that you interview two to three attorneys then select the attorney you feel most comfortable with based on clarity of explanation, online reviews, personalities and your gut reaction as to whether you can trust that person. Trust and clarity of explanation are important factors. You must be able to trust your patent attorney to the point where you are both able to collaboratively exchange ideas towards future planning. If you are unable to collaborate or if the patent attorney is unable to explain why you must do certain things, then it has been my experience that the relationship will ultimately end, sooner or later. I have felt the same uncomfortable uncertainty that you may have in selecting your patent attorney when I had to select a family planning attorney to set up my will and trust. Although I received high marks in law school, I was still unable to determine whether the attorneys that I interviewed were competent in the nuts and bolts of guiding me through preparing my own will and setting up my family trust. However, my education did help me to in deciphering if the attorney that I selected sounded competent. 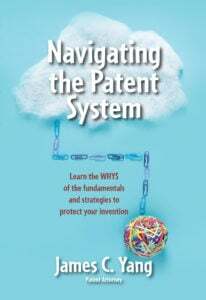 Likewise, the information on my blog and in my book Navigating the Patent System is there for you to review and learn so that you can better decide which attorney to select and which route to take in the patenting process. It is my theory that the more I can help you to make better patenting decisions, the more successful I will become. After the patent search, if the search results indicate that the invention appears novel and non-obvious to a person of ordinary skill in the art, then the next step is to file a patent application with the USPTO. You have now formally started the application for patent process. 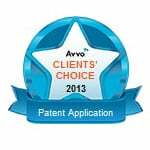 Upon filing the patent application, your product or process is now patent pending. Congratulations! You can now market your idea. At any time during the patent pendency of your patent application, you can check the status of your patent application on the public or private PAIR site. Some refer to the patent pendency stage as being patent protected, but the phrases “patent protected” and “patent protection” can be misleading or confusing. The product is only patent pending but not patent protected in its fullest sense. Your idea is protected, in that the filing date of the patent application prevents others from filing their own patent application after you for the same invention and being awarded the patent. Your application provides a government-recognized priority date against later-filed applications. Your idea is patent-protected in the sense of its pendency. By no means does the filing of an application provide you any sort of enforceable rights to stop others from marketing their idea in the marketplace. For that, you would have to wait till your patent application matures into a patent because it is the “issued” patent claims that determine the existence of and scope of patent protection. Find out how to expedite your patent application. Also, the extent of patent pendency–type patent protection is a function of how much you include in your patent application. So, the more complete or comprehensive your patent application, the better. Why provisional patent applications are not cheap? If your first-filed patent application was filed as a provisional patent application then no examination of your provisional patent application will occur. The provisional patent application is merely to secure patent pendency on the information or details included in the application. A follow-up nonprovisional patent application must be filed within one year to maintain the priority filing date of the provisional patent application. When the nonprovisional patent application is filed, then it will enter the queue for examination. Examination is typically based on a first-filed, first-served basis. A normally filed, utility patent application will be examined in about one to three years depending on the backlog at the Patent Office and the specific art unit your application is assigned to by the Patent Office. The one- to three-year time period you have to wait for your patent application to be examined can be cut down to a time period of about six months by filing a prioritized examination request. This is a pure pay-to-play system. The prioritized examination moves your patent application from the back of the line to the front. If the issuance of the patent is important to potential investments or a sales or enforcement strategy, then prioritized examination is a great tool to expedite examination and hopefully, issuance of a patent. If one of the inventors is over 65, then the examination process can also be accelerated by filing a fairly low-cost petition based on the inventor’s age. Otherwise, in my opinion, waiting patiently for examination and not requesting prioritized examination so that you can have more money for marketing or product development may be more useful. After securing patent pending status, you are now able to market and freely disclose your idea to others. Marketing your idea is also a part of the patent process because for many inventors, the way that the market receives the invention determines whether the additional future expense of examination is justifiable. Getting to patent pending is one of the high points in the patent process for inventors. Inventors are warned to keep their invention secret until they receive patent pending status. Inventors often feel relieved that they can now share their idea with their family and friends freely. Remember that this is only a feeling and you have a lot of work ahead of you in terms of building a business, and the patent still needs to be granted. I want you to have the proper perspective. Feel good about the patent pending status but be aware of the real work ahead of you. Some inventors still feel that they want to keep their invention secret even after securing patent pendency. You may want to do so in order to engineer a product launch of your invention to the public. However, legally, others that see your invention based on your marketing efforts after receiving patent pending status can only receive a file date that is after your filing date. Under the first-inventor-to-file rule, you will be awarded the patent and they will be rejected. If you still want to keep your invention secret even after receiving patent pending status and want to tell others about your idea, then you may want to do so under a non-disclosure agreement. Here is a discussion of the internal USPTO patent process. If your patent application was filed without a prioritized examination request, then you will receive examination on a first-filed, first-served basis. 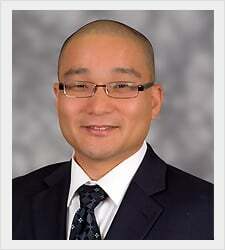 A patent examiner at the USPTO will review your patent application. Examination will take place about one to three years after filing. If you requested prioritized examination, your patent application at least at this time will be examined in about 4 to 6 months after the filing of your nonprovisional patent application. Requesting prioritized examination is more expensive than waiting your turn for the USPTO to examine your patent application. However, if the grant of the patent is important based on your business plan, then the fee for requesting prioritized examination may be money well-spent. Once your patent application is examined, the Patent Office will mail out an office action. The office action is simply the official stance of the Patent Office on whether they will grant or deny one or more claims in the patent application. This is the merely the initial opinion of the examiner at the Patent Office. The patent attorney’s role is to provide a convince the examiner the claims are patentable by amending the claims and providing arguments in support of patentability. See How to respond to an office action? for steps to overcome a rejection and sample responses and office actions. Most patent applications at the Patent Office are initially rejected. An initial rejection does not necessarily mean that you will not secure a patent. It depends on what the cited prior art references show. Oftentimes, it will require you to go back and forth with the examiner a couple of times. In many cases, you can get a better sense of the examiner’s opinion through an examiner’s interview. To continue with the patent process after receiving an office action, claim amendments and arguments in support of patentability must be prepared. I would recommend that you have a patent attorney do it. If successful, then a patent is issued. If ultimately unsuccessful, then an appeal can be made to the Patent Trial and Appeal Board (PTAB). If your patent pending product is selling well, then you will generally fight harder for the patent and may be more willing to pay for the appeal to get your patent. If marketing of the patented product is not doing well, then you can always abandon the patent application without incurring any further costs. Throughout the entire pendency of the patent application, everyone involved in the patent application has a duty to disclose relevant information that might cause the examiner to reject the patent application. The disclosure is made through an Information Disclosure Statement (IDS) submitted to the Patent Office. This means that the results of the novelty search that you or anyone else that you hired to conduct for you must be submitted to the Patent Office for review by the examiner. Overall, the patent process is a long, drawn-out process that can be shortened by paying a fee for prioritized examination or if one of the inventors is at least 65 years old. Moreover, the costs associated with the patent process does not end with the filing of the patent application. There are other downstream costs associated with corresponding with the Patent Office and any effort of the attorney in support of your case. When you receive a notice of allowance, you are about to potentially end the patent process at least with respect to the examination of your patent application. However, you could continue the patent process to broaden up your claims. Pay the issue fee, get your patent and file a continuing application. A continuing application is a refiling of your original application with the USPTO. This must be done prior to the issuance of your patent by the USPTO. The continuing application has a number of benefits. One of the benefits for filing a continuing application may be to seek broader patent protection than what was allowed in your original application. 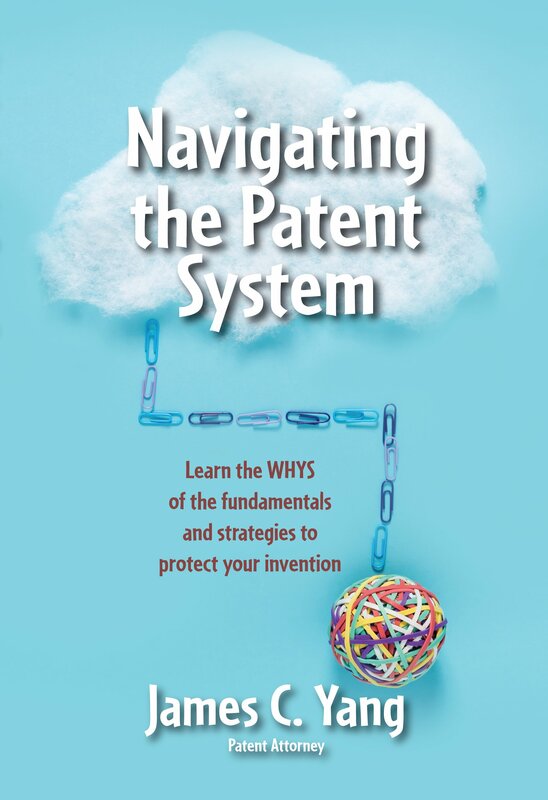 You can read more about it in FAQ #23 of my book Navigating the Patent System. The strategy of filing serial continuing application is referred to as continuation practice. There is an ongoing cost for implementing this type of continuation practice. In generally, it should be considered for cornerstone technology or products that are significantly profitable and can justify the ongoing costs. However, these ongoing costs can be stopped at any time too by abandoning the continuing application. The normal term of a patent is 20 years after filing of the earliest-filed nonprovisional patent application. In a broad sense, you will be in the patent process because you still need to maintain the patent and communicate with the Patent Office. After your patent is granted, you must pay three maintenance fees, one at 3 ½ years, 7 ½ years and 11 ½ years after the grant date of your patent. Otherwise, your patent will expire before its full term is up for failure to pay these required fees. For many of my clients, after they find that the patent process has been beneficial to their business, they begin to understand the importance of securing their intellectual property. This means getting more patents, registering their trademarks and copyrights and also protecting their trade secrets. It has been my experience that most products and businesses have some form of intellectual property that they do not recognize that they have and should be protected. For example, your business and product may have a trademark. The content on your website and the product packaging consists of your copyright. You may want to register your copyright at www.copyright.gov. Your customer list is your trade secret and should be protected. Consult with a patent attorney to determine which additional intellectual property you should protect and how.